The iconic Military Sealift Command hospital ship USNS Mercy is back in San Diego after a five-month humanitarian mission to Southeast Asia. The ship’s crew and Navy medical personnel visited Indonesia, Japan, Malaysia, Sri Lanka and Vietnam, treating patients and practicing disaster response as part of the Pacific Partnership and RIMPAC exercises. 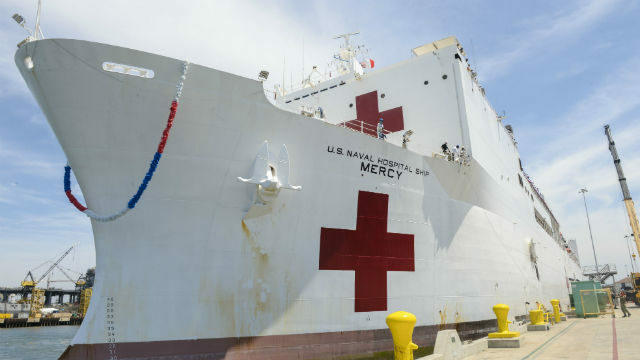 The Mercy was joined on its mission by the new expeditionary fast transport ship USNS Fall River, which separately visited Yap, Palau, Borneo-Malaysia and Thailand. Pacific Partnership is the largest annual multilateral humanitarian assistance and disaster relief preparedness mission conducted in the Indo-Pacific region. The exercise, now in its 13th year, included more than 800 military and civilian personnel from the U.S., Canada, United Kingdom, Australia, France, South Korea, Singapore and Japan.